A beautiful antique white, French chic wall shelf / corbel that look beautiful in singles or multiples. Whether in the hall way, living room, bedroom or entrance hall this adds a striking touch of the French Renaissance. With beautiful carvings both ornate and distressed this wall feature will be an elegant final touch to any vintage or shabby chic home interior. Display your trinkets and treasure proudly as this perch upon this beautiful elegant shelf. A beautiful antique white, French chic wall shelf / corbel that look beautiful in singles or multiples. Whether in the hall way, living room, bedroom or entrance hall this adds a striking touch of the French Renaissance. 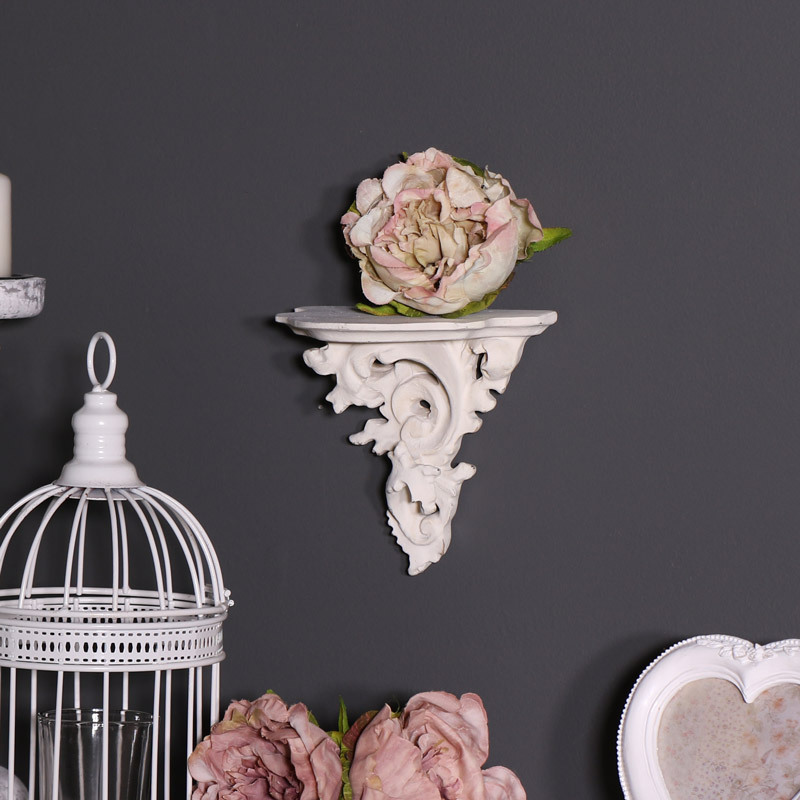 With beautiful carvings both ornate and distressed this wall feature will be an elegant final touch to any vintage or shabby chic home interior. Display your trinkets and treasure proudly as this perch upon this beautiful elegant shelf. From made plaster it has a large saw tooth attached to the back for easy wall mounting. French chic, ornate, vintage or antique style furniture is something we know you love as much as we do and with lots to offer you can complete your desired interior.